Major Grey's chutney is a recipe that has become very popular in the United States. You may purchase this type of chutney or make your own for a great presentation. What is chutney? Chutney is a flavorful blend of sweet and savory ingredients that include fruit, spices and vinegar. While recipes vary, they typically have spicy undertones with some chutney recipes being quite hot. The jam-like condiment has sharp taste and a wonderful contrast between sweet and spicy. It is a great complement to meat, chicken and vegetables and it is common in Indian dishes. Crosse & Blackwell purchased the initial formula but many other manufacturers have adopted versions of the recipe. Major Grey's recipe is very popular in the United States, perhaps for its sweet flavor and jam-like consistency. Many options are available for buying the mango chutney. Shoppers may also find many different brands of chutney on Amazon. Sun Brads' mango chutney is made in India. This product is available on My Brands and can be ordered online. Sun Brands' version is spicier than products produced in the United States. You can enjoy the store-bought version of the chutney or you can opt to create their own versions using fresh ingredients. While the original recipe would be extremely difficult to find you can create a stellar presentation inspired by the Major's chutney recipe. Makes about 8 cups. Combine all ingredients in a saucepan except the cilantro and bring to a boil. Continue to boil gently and stir occasionally for about 20 minutes. Add the cilantro and boil for another 10 minutes. Allow to cool for 24 hours before serving. This recipe is good for canning as well. 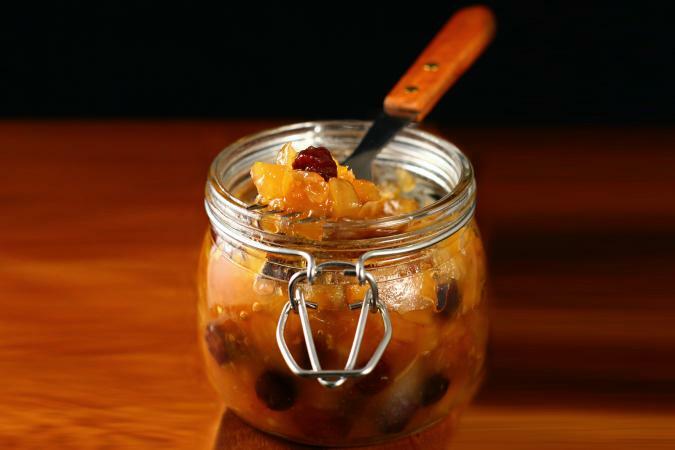 Follow your preferred canning methods for chutney that you can use later. See Indian Chutney Recipe for a simple version not inspired by the Major's recipe. The condiment is excellent with shrimp dishes and appetizers. Enjoy the chutney with cheese and crackers or with coconut shrimp. Whether you purchase the brand or experiment with recipes inspired by Major Grey's chutney, the results will be outstanding.